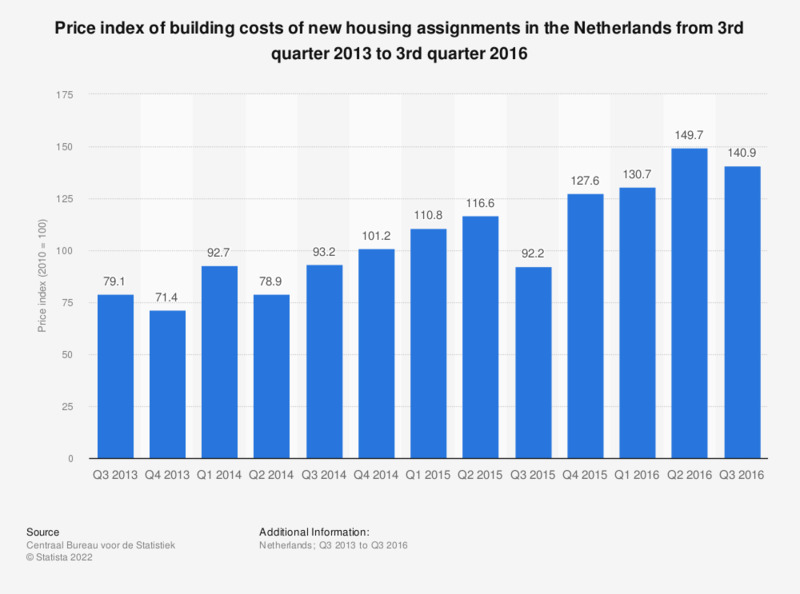 This statistic shows the price index of building costs of new housing assignments in the Netherlands from the third quarter of 2013 to the third quarter of 2016. In the third quarter of 2013, the price index for building costs was 79.1. The source states that the real estate assignments used in these numbers "have such agreements that the design or construction can start immediately." Also, the assignments have a minimum value of 200.000 euros. Both new constructions as well as reconstructions are included.